Can I Buy Life Insurance Policies from the Secondary Market? Buyers of life insurance policies are usually large institutions like pension plans, hedge funds or banks. High-worth individuals may also be suitable candidates for buying life settlements. Unlike more traditional investments like stocks or mutual funds, a life settlement carries certain risks that make it an inappropriate investment for most small investors. 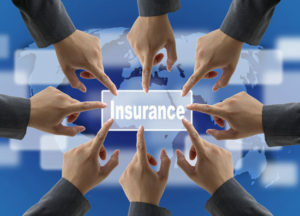 There are perhaps a dozen or more specific risk factors that buyers of life insurance policies in the secondary insurance market need to consider before making any investment. Following are a few of the most important of those risks. Rate of return – As a life settlement investor, you do not realize any gain on your investment until the insured on the life insurance policy dies. It is impossible to know what your return will be when you make the investment. If the insured lives longer than expected, your rate of return will be less. Possibility of having to pay more than your initial investment – When you buy life insurance policies as an investment, your payoff comes from the death benefit after the insured passes away. If funds are not available to pay premiums to keep the policy in force, you and any other investors will have to reach into your pocket to pay the premiums as they come due. Insurance company suspects fraud – An insurance company may deny claims if it believes materially false statements or fraud were committed on the application to obtain the policy. Not a liquid investment – You may get stuck holding on to an investment for longer than you anticipated. Since buyers of life insurance policies do not get paid until the death benefit is paid, you have to wait. If an emergency arises during the waiting period, it can be impossible, or at least very difficult, to sell any part of your investment. Insurance company goes out of business – Although each state has a guarantee fund to protect policy owners from such a situation, the amount of protection may not fully cover your investment. In such cases, you could lose money. Under the guidelines set forth by the North American Securities Administrators Association, Inc.(NASAA), only accredited life settlement investors are permitted to buy life insurance policies in the secondary insurance market. The intention of this rule is to protect this product from being marketed to investors who may not fully appreciate the unique investment risks it carries. While such a restriction is strongly encouraged by the NASAA, individual states and plan administrators can apply different standards. Should You Invest in Life Settlements on the Secondary Insurance Market? If you qualify as an accredited life settlement investor and are considering life settlements, you should sit down with a knowledgeable and trusted investment adviser to go over all of the risks and benefits of such an investment. As long as buyers of life insurance policies understand the risks, such alternative investments can help enhance their goals of lower portfolio risk and improved rate of return.